G-Span long span shelving is ideal for general storage applications including: warehouse, workshop, archive storage, shipping containers, garage and sheds. Generally 18mm particleboard shelving is used, with flush fit into the step beams. 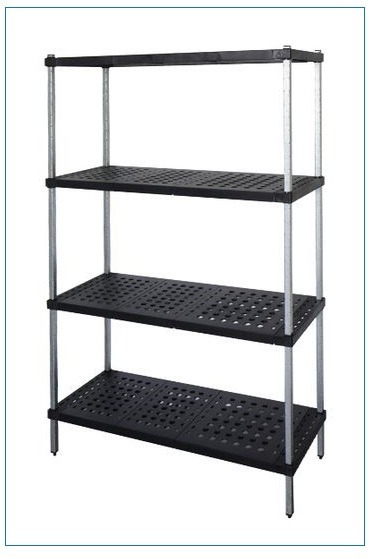 Wire mesh shelf decks – available for 460mm / 600mm deep. Pre-galv steel shelf infill panels – available for 460mm / 600mm / 900mm deep. Charcoal grey powder coat finish. Uprights are pre-assembled for easy installation. Beams are height adjustable on 50mm increments. Castor wheel baseplates are available for light duty mobile shelving and packing benches. 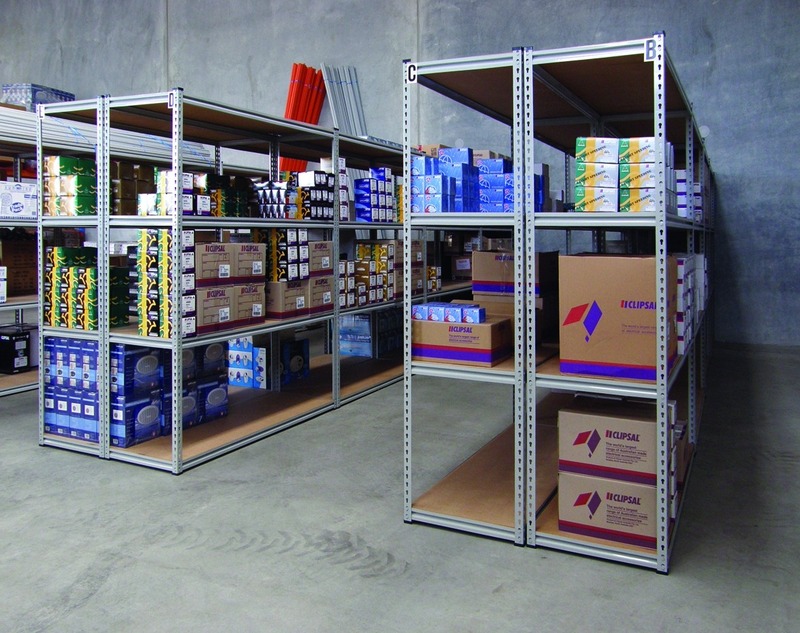 For a Long Span Shelving quote in Adelaide, please call us or contact us today. Bay length is “clear entry”. Each upright adds 65mm to overall length. Rivet shelving is a boltless shelving system – strong, economical and easy to assemble. Bright silver zinc finish – corrosion resistant. 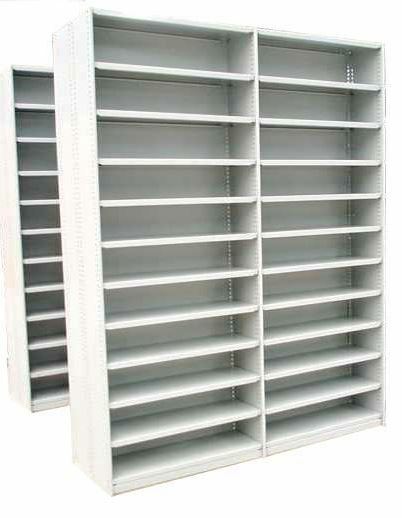 Rivet shelving can be used with particleboard shelves for general storage. Step beams allow a flush fit for 18mm board. When paired with mesh decks, rivet shelving is an economical shelving system for use in cool rooms or for food storage. A base level shelf must be fitted for strength and stability. Adjustable feet are available for levelling on uneven surfaces. To enquire about a free quote on Rivet Shelving in Adelaide, please Contact Us Today. 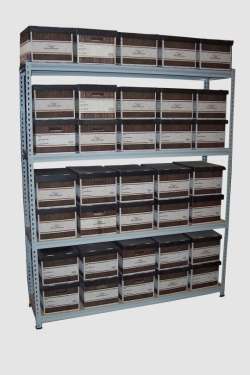 Rivet long span shelving and Maxispan long span shelving are ideal for archive box storage. Some archive boxes have different dimensions, so please check the dimensions of your boxes. Our shelving storage capacities assume boxes are stored two high on each lower shelf, and one high on the top shelf. This takes into account a standard 2.4m ceiling height. Typical archive boxes can weight up to 15kg. Please consider your OHS requirements in determining where the top shelf level can be set. Note: Boxes are stored two deep on the 900mm deep shelving units. These units are generally positioned with an access aisle to both sides. If positioned against a wall, rear boxes will be obscured from view. Known as RUT shelving due to the rolled edge that provides strength to the uprights. Also commonly referred to as BROWNBUILT shelving – Brownbuilt is a common brand for this style of shelving. All components, including shelves, are steel. A solid back panel is generally installed so that each bay is enclosed on three sides. Cross-braced open backs are an economical option if a solid back is not required. 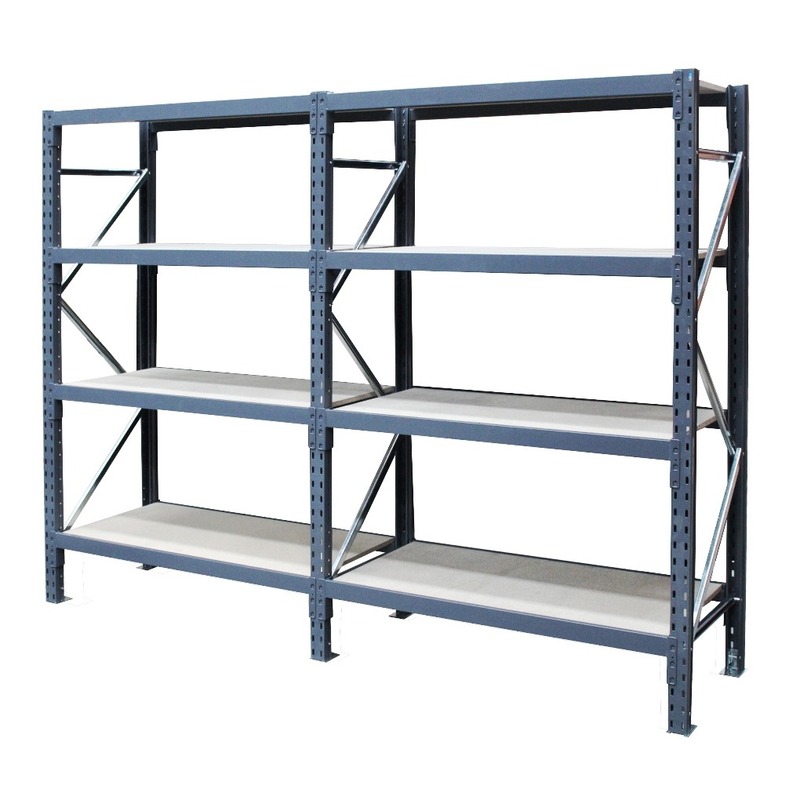 RUT shelving can be configured as single-sided or back-to-back shelving. Shelves are adjustable on 25mm increments – RUT shelving is a good option where many shelf levels are required with tight spacing. Gondola style retail display shelving – ideal for retail shelving applications and product display. 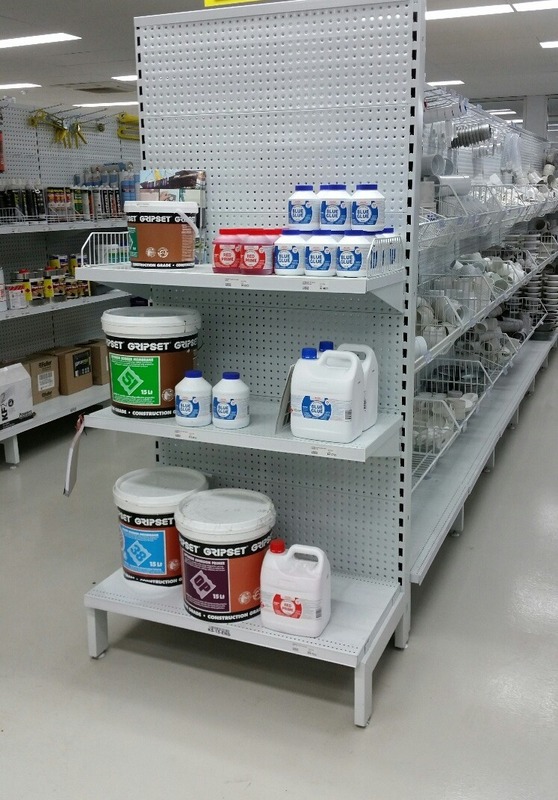 Retail display shelving is typically used in: hardware stores, chemists, supermarkets and convenience stores. Double sided shelving bays are generally used in open floor space to create browsing aisles. Single sided shelving bays are used along walls or the end of double sided runs. Our standard G-Series display shelving is fitted with steel perforated backs which can be used with pegboard hooks for “hang sell” displays. 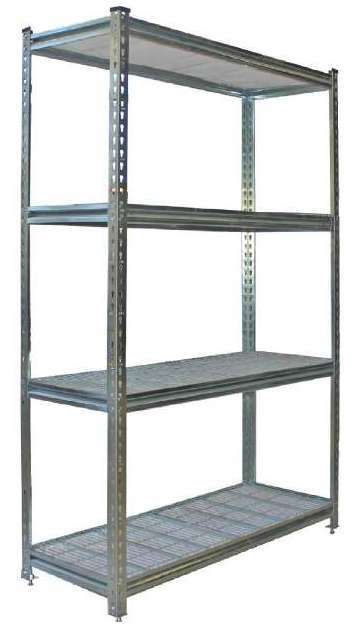 Adjustable steel shelves and wire baskets are available. Wire shelf fronts and dividers can also be fitted. A range of pegboard hooks and accessories are available. Other brands and sizes available on request including: URI shelving and BDS shelving. Rivet shelving fitted with wire mesh decks is a strong and economical choice for cool room storage. See above RIVET SHELVING. Where specialized cool room shelving is required, we can supply a range of sizes, types and finishes to suit, including the full range of Australian made MANTOVA™ shelving.